Can I Get Sole Custody Of My Child? You can not get sole custody in a divorce or paternity case anymore, but you can get something close to it if warranted by the specific facts of your case, and in some cases parental rights can be terminated were there are egregious circumstances of abuse, abandonment, and/or neglect. Under Florida law, there is no longer something called sole custody. The law favors the involvement of both parents in a child’s life and now uses the phrases, parenting plan, time-sharing, and shared parental responsibility, to reflect the preference of Florida law for the involvement of both parents in a child’s life, rather than the historically used terms custody and visitation which imply one parent has superior rights concerning a child as compared with the other. In a typical family law, divorce, or paternity case, you can expect both parents to share time with the child. While all time-sharing schedule are not equal time-sharing schedules, in a typical case both parents have regular overnights with their child. In a typical case, parents are are also expected to make important decisions concerning their child together. However, if warranted by the specific circumstances of a divorce or paternity case, the court can create an unequal time-sharing schedule, can limit or restrict a parents communications and time-sharing with a child, and can give one parent decision making authority concerning important decisions for a child on specific issues to the exclusion of the other parent. The court does not take such decisions lightly and a parent needs to establish a very good basis, through testimony and evidence, for the court to award sole decision making authority, or restrict a parents time-sharing and communications with their child. Where supported by the right testimony and evidence the court can order things like no overnights, supervised time-sharing, supervised communications, and/or impose conditions on a parent they must fulfill for them to be able to be involved in shared decision making, have communications with the child, and have time-sharing with the child. 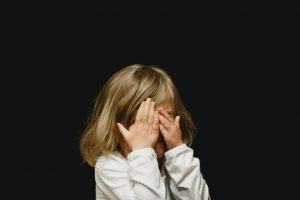 In the context of a typical divorce or paternity case, it is not realistic to expect the court to completely cut off a parent and not give them a way back into a child’s life if they do the things the court requires them to do. In the most egregious of cases, cases of abuse, abandonment, and/or neglect, the law does provide a mechanism for the termination of parental rights. It is also possible for a parent to voluntarily surrender their parental rights as part of an adoption or step-parent adoption proceeding. Further, depending on the circumstances parental rights can be terminated where a parent is incarcerated. If you have questions about “sole custody”, “visitation”, time-sharing, parental responsibility, or the termination of parental rights contact one of our lawyers to arrange a consultation to discuss your situation and get the advice you need. Next PostNext Can I Get My Lawyer’s Fees Paid By The Other Side In A Divorce Or Paternity Case?